Sadly, London is a long way off banning cars from miles of its major roads for this annual event, unlike Paris or Bogota (or Jakarta, which does it once a week) . 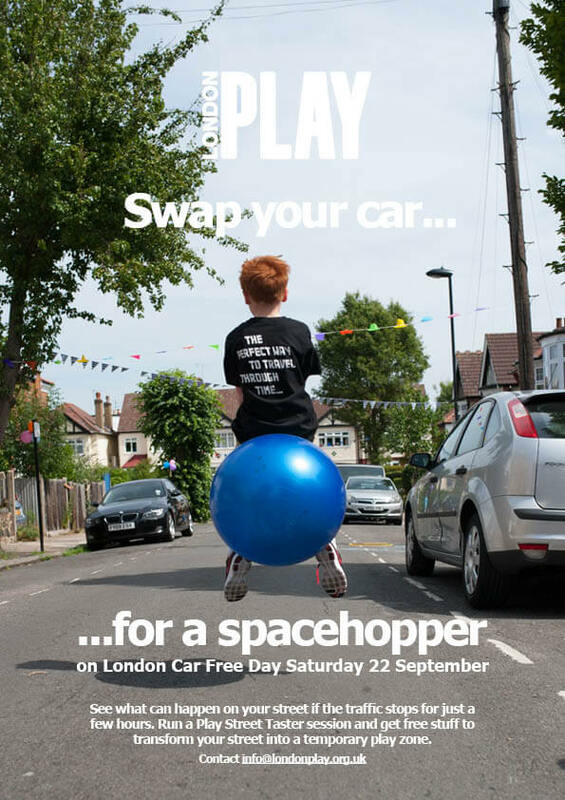 But this year Enfield council teamed up with London Play and offered residents a one-off ‘play street’ day – when traffic is banned on a residential street to allow children to play – at no charge, and with freebies like space hoppers thrown in. 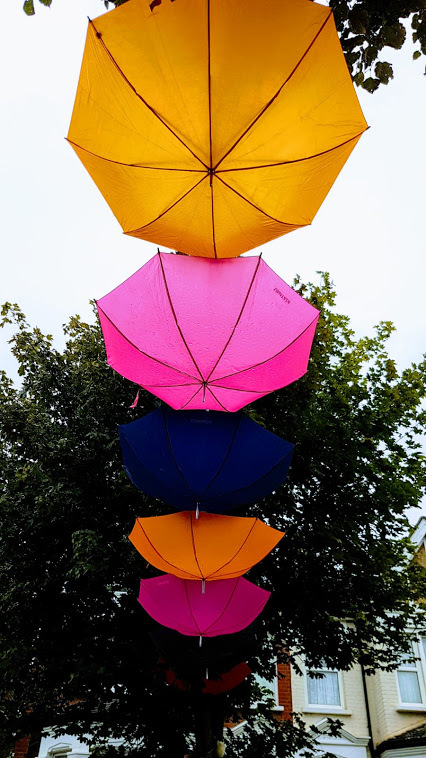 The following Enfield streets were reported by Transport for London to be taking part: Amberley Road, Riverside Gardens, Granville Road, Lovell Road (Honilands Primary School), Ollerton Road and Burlington Road. This list was clearly incomplete as at least one other, Old Park Road N13, took part as well. Better Streets members seemed to be at the heart of the action, with several posting reports and photos of closed roads after the event. For instance, Turkey Street councillor Rick Jewell was at the Honilands School closure, witnessing ‘madness’ ‘kids covered in chalk’ and getting a ‘beachball smack in the face’ – in other words, thoroughly enjoying himself. Arguably the most effort was made by Old Park Road residents. This street in Palmers Green (home to several Better Streets members) suffers daily from heavy traffic as drivers cut through it to avoid the traffic lights on the high street. 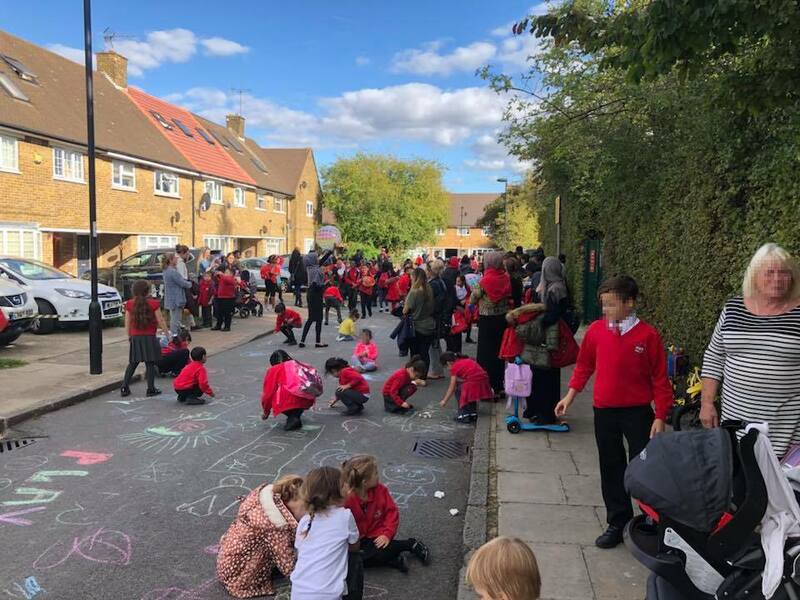 Yet residents have fought back, creating a strong community through years of annual street parties, and for the last two years have run a monthly play street. They call it ‘quiet street’, focusing on the absence of cars to bring all ages as well as the kids outside to socialise. 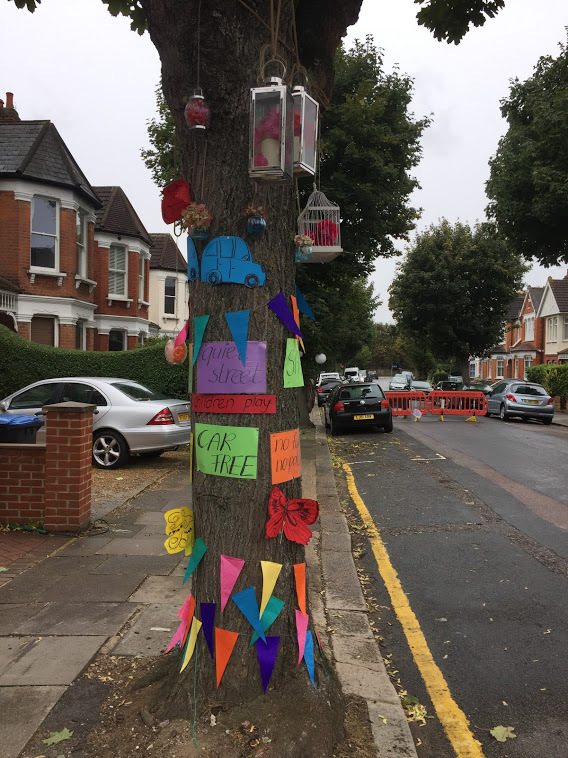 On 22 September they went to town, decorating trees, serving food on the street, holding music workshops – and the highlight of the day, car-free Wacky Races. You can see more photos from the day here – and below is some unmissable footage of the Wacky Races. It was a good experience for all those who put in the time and effort to mark the day on their own street. But in the face of London’s – and Enfield’s – car dependency, toxic air and unhealthy, car-dominated public places, much more could and should be done. Next year we’d like to see high streets closed to cars – like Church Street in Enfield Town – to show the public how much can be gained from giving space back to people. Even for a day.